Selling my sub and box, fits under the strut bar. Sub handles 400 rms. asking $150. Last edited by meaj82; 09-21-2012 at 05:23 AM. if i pick it up tomorrow what kinda deal would you give me? How much for just box? MTX 7402 Amp: Which subs? 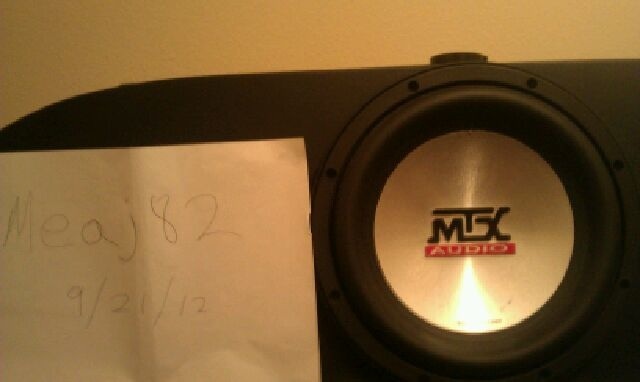 mtx 7500 sub and mtx 421D amp, any input on them?